This custom crystal bracelet for that special flower girl. A great way to say "Thank-You" to that favorite flower girl. 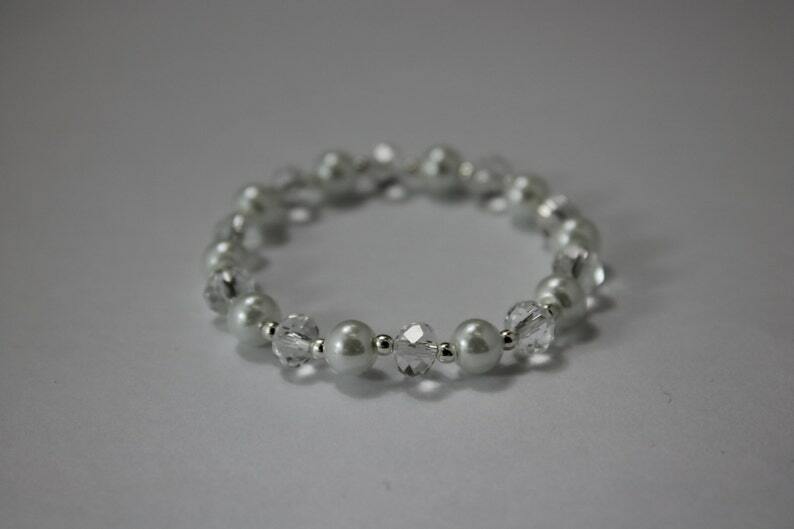 Specially designed with pearls, crystals and silver spacers. Comes with a cute custom card.